For those of us finding it harder to get out and about than we used to, a mobility scooter can be a big help. With spring in the air and lighter evenings on the way, it’s the time of year when many more people begin to think about investing in a mobility scooter to help them make the most of the improving weather. To help you find the best mobility scooter, we’ve tested and rated popular models in the Which? test lab to uncover the ones that drive smoothly, are easy to use and manoeuvre well outdoors. You can see the models that topped our expert tests and user trials in our mobility scooter reviews section. Choose the right class of scooter: Class 2 scooters are smaller, lighter and often cheaper than those designed for road use. They should be driven at up to 4mph on pavements and in shopping areas. Mobility scooters for the road are Class 3 vehicles and, as such, they are larger and heavier. They can be driven up to 8mph on any roads except motorways and dual carriageways, and are more suited to longer journeys. Try before you buy: when trying each scooter out, ensure it lets you sit in a comfortable and stable upright position with sufficient legroom, and that you can easily reach the controls. Get an independent recommendation: we’ve independently tested mobility scooters from all the major UK brands, such as Drive Medical, Electric Mobility, Luggie and Monarch Mobility. Our user panel took each scooter out and tested it extensively in real-life situations, such as on a bumpy car park surface, along a pavement, uphill, downhill, and up and down low kerbs. We’ve analysed the results to recommend the best mobility scooters. Transporting your scooter: will you need to transport your scooter in a car? Class 2 scooters can fold or dismantle but, even when they’re taken apart, the parts can be heavy to lift in and out of your car boot. We’ve seen folding scooters that weigh as much as 25kg without the battery. Make sure you try folding or dismantling the scooter and lifting it up and down before buying. You should also experiment with how you’ll get your mobility scooter into your car, as there’s no such thing as a ‘standard’ boot. Check the maximum weight capacity: it’s important you take your own weight into consideration. Some of the smaller and lighter mobility scooters have a maximum weight capacity. The scooter may become unstable if you’re too heavy for it, and you could invalidate the warranty. Storage: you’ll need to charge your scooter’s batteries overnight so. Ideally, you’ll need somewhere covered, such as a garage or shed, with a mains plug. You may need a ramp over steps to allow you access. 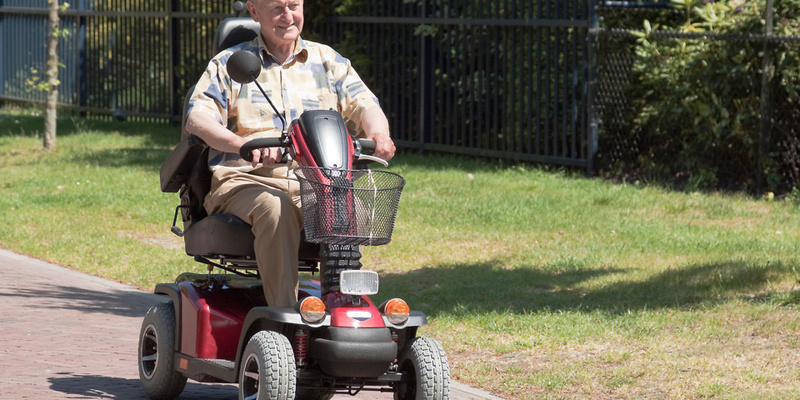 Get professional advice: a mobility scooter is a medical device as well as a lifestyle choice. Take advice from a mobility shop or occupational therapist before finally deciding on the right model for you. Choose the right extras: mobility scooters vary a great deal in price, so do research before you buy to understand the difference between models and what’s worth paying extra for. We have advice on how much you should expect to pay in our guide to choosing the right mobility scooter. Pick your supplier carefully: if you buy new, you can do this direct from the manufacturer or from a specialist mobility-equipment shop. Buying from a specialist may cost you more but you should get an assessment of your needs, ideally at home, and a selection of scooters to try. It’s wise to buy from a manufacturer or retailer that follows an industry code of practice, such as the one set by the British Healthcare Trades Association (BHTA). This should ensure you don’t encounter pressure selling. Check that your scooter comes with a guarantee and an aftersales service: new models should come with a guarantee of at least one year. If you buy second-hand, remember to factor in the cost of maintaining and servicing the scooter, as well as extras such as insurance and breakdown cover. Which? health researcher Joanna Pearl says: ‘Don’t be seduced by an expensive mobility scooter that’s lightweight but uncomfortable, or one that’s very comfy but so heavy that even two people will struggle to lift it. Best mobility scooters tested by Which?